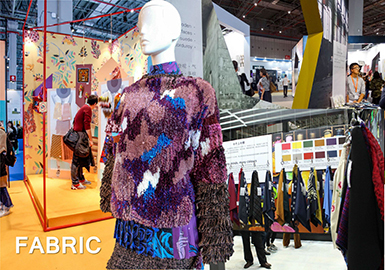 The S/S 2019 Intertextile Shanghai gathers textile suppliers around the world to show their latest design. Men's materials are abundant, featuring retro and creative styles in this season. Traditional fabrics in houndstooth, polka dot or leopard prints are refreshed for new looks. 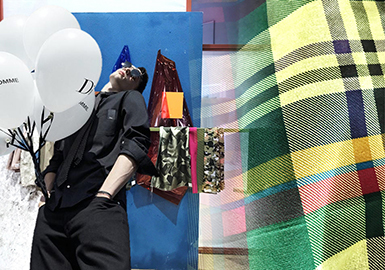 Following on from what was regarded as a challenging year for Intertextile, a renewed positivity rang out across the first of 2017's shows for S/S 18. Playing host to over 3,300 exhibitors, representatives from some 26 countries and regions gathered in the show's International Hall, which included a Milano Unica showcase of Italian mills, French- and German-specific zones, as well as the Asian Pavilions that brought together those from Korea, Taiwan, India and Pakistan, and Chinese exhibitors, all grouped together by the nature of their offering. Within the show itself, distinguishable zones made sourcing more focused for show-goers, with areas that included Premium Wool Zone, Beyond Denim, Verve for Design, All About Sustainability, Functional Lab and Accessories Vision. Meanwhile, S/S 18's Trend Forum was curated by Ornella Bignami of Elementi Moda.